When dry air negatively impacts your home, you know that it’s time to turn on the humidifier. However, how do you get the most out of a whole-home humidifier? Fortunately, whole-home solutions for humidification are very easy to use. It’s easy to have optimal humidity levels with minimal effort. However, there are few things you can do to make sure dry skin, scratchy throats and other symptoms don’t show up this winter. Change the water panel: One of the best things about whole-home humidifiers is that they require almost no maintenance. Portable units need daily water changes and cleaning. A simple water panel change once each heating season keeps your whole-home humidifier working correctly. 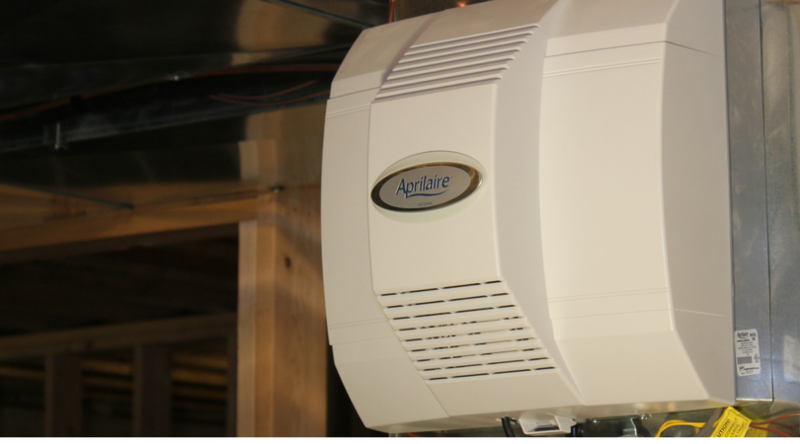 We recommend using Genuine Aprilaire Parts in all of our humidifiers. Use automatic control: With automatic control you set the level of humidity you want and then forget about it! Automatic control reads outdoor temperature and ensures your home is comfortable while preventing window condensation during extra cold days. Have an HVAC contractor install and service: Your HVAC contractor knows the best humidifier for your home and how to keep it in tip-top shape. After it’s properly installed, the contractor can change the water panel and provide other service when working on the furnace. If you don’t have a whole-home humidifier installed yet, visit our dealer locator and find an expert near you. Aprilaire humidifiers provide improved comfort, health and protect your home with simple, efficient control. I like that you provided some tips for better humidification such as changing the water panel of your humidifier. While most humidifiers don’t really require maintenance, it’s recommended that you change the water panel every heating season to keep your unit in excellent working condition. This would not only ensure clean air but it would also prevent your motor from getting clogged or damaged which could lead to huge amounts of repair costs. If I were to purchase my own Aprilaire humidifier, I would make sure to take this into account. Thanks.